Your ability to be successful in your organizational role begins with how well you manage yourself, and that’s pretty much up to you. But understanding yourself is the first step if you want to become truly effective personally and professionally. Self-knowledge is the first requirement of self-management. 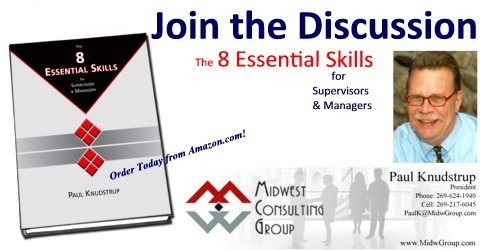 And the ability to manage yourself is indeed the first essential skill – Skill 1 – in becoming a successful supervisor and manager. What do you think? Of the 8 Essential Skills, it seems to me that you can’t manage others well if you can’t manage yourself. If you’ll play along for a minute and accept that Managing Yourself is one of the 8 Essential Skills, then what do you think is involved in successfully managing yourself?